If you have trip to Russia, the first town you should visit is Moscow, the capital city of the largest metropolitan in Russia. 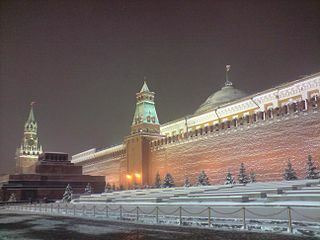 In addition to having many attractions that must be visited, there are lots of alternative flight to Moscow. Flights from Moscow to St. Petersburg fairly crowded with local flight from morning till midnight. The time is right for a visit to Russia should be in the summer, from June to August. At that time, the northern hemisphere is enjoying the sun in a long time. Natural siding on the tourists to enjoy the nature and culture of Russia in a very long time so it does not run out to enjoy the mattress. In addition, the tourists also not need bring thick clothing that will only add to the burden, enough to wear short sleeves or jackets that have qualifying wind stopper. It would be different if visiting in the winter usually come from November to April. In the winter of December through January, the City of Moscow and St. Petersburg will experience numbness in the range of minus 18 degrees Celsius. It could even reach minus 30 degrees Celsius. In the winter, the sun will appear at nine o’clock in the morning and sets at four o’clock. Traveled in the winter more than summer constraints. One obstacle is that tourists have to wear very thick and layered. Starting from the clothes they wore body, undershirt, jacket, shirt, tie, coat, scarf, tie, and coat. The head should also be covered with a thick cap should be made of leather and covered ear. in bottom, you should also wear shoes inside coated fleece so that the foot is always warm. In addition, you also have to wear a skin cream. In Russia this time of the season to be relatively difficult to predict.Sometimes November is still in the fall will probably already started snowing until April. While the spring is often very short, from late April to early May. Early June is usually a time getting into the summer. At the moment it is also not suitable for travel because apart too often still quite cold rain making it difficult to tourism activities. In addition, the spring in Russia is not too good when compared with some other areas that have four seasons, in addition to last a very short, also the trees not met by colored flowers.